Chiang Mai zoo is a large (200-acre) zoo, just north of the University in Chiang Mai, on the Huay Kaew Road which leads up the mountain (Doi Sutep). Apart from the caged animals, it is quite a good place to look out for wild birds and insects, or just to have a good walk (but it can get hot!). Like many people I think, I have mixed feelings about zoos. They are good places to see animals close up, but the creatures are caged, and for me, any sense of pleasure is tinged by a sense of sadness that they are no longer free. 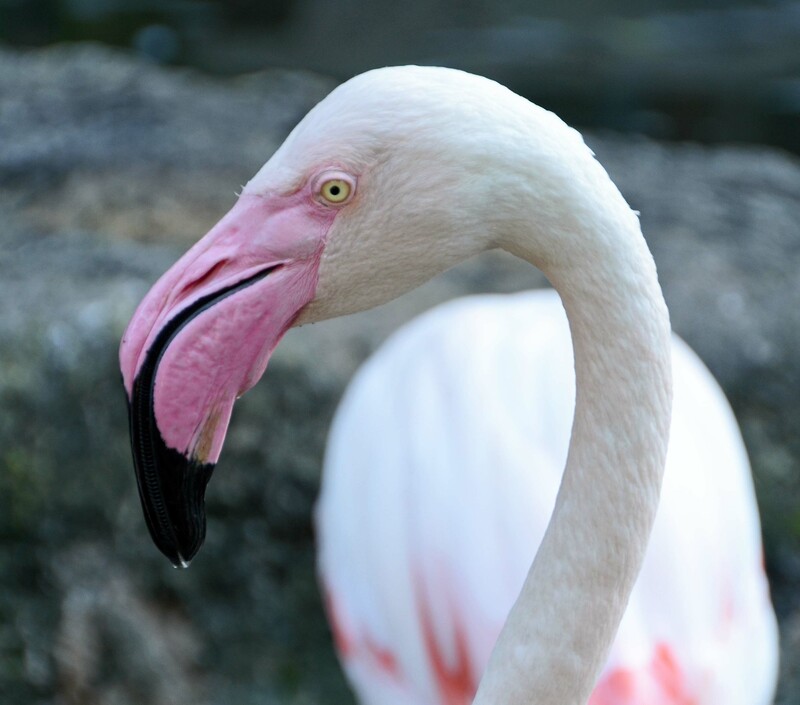 Depending on the zoo however, the animals can still have a good life, if it is well maintained and the enclosures are spacious and sensitive to the needs of the animals. 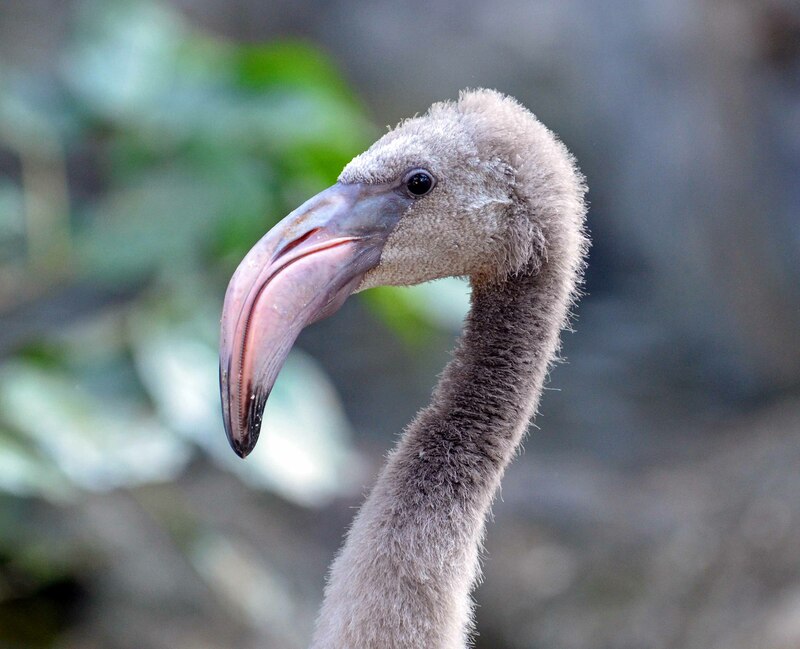 The main purpose of a zoo should conservation and the breeding of endangered species. Making people aware of the plight of many endangered species in this ever more populous world is also a useful function of zoos. Chiang Mai zoo is not too bad in this regard, in my opinion, although there is a distinct commercial edge, with feeding the animals (such as elephants and rhinos) being a major theme. Having a shooting range in a zoo also seems a bit strange to me, but I guess some people like it! It just seems to be sending the wrong message somehow! They could do more in terms of information, and some of the birds – raptors in particular – look rather sad and could do with a bigger aviary. It is however, a good place to see some South East Asian species (see below) and also to photograph them in a way that is not easy to do in the field. 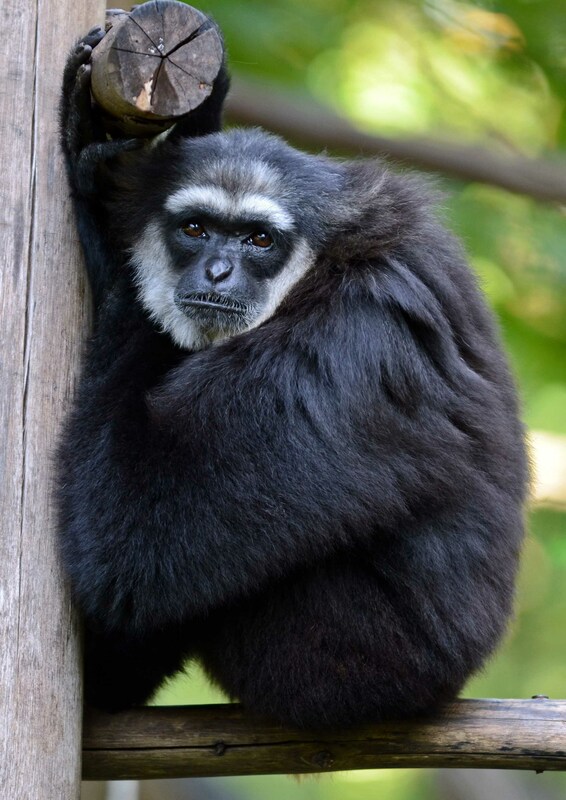 Top of my list are the gibbons, and these have good open enclosures. 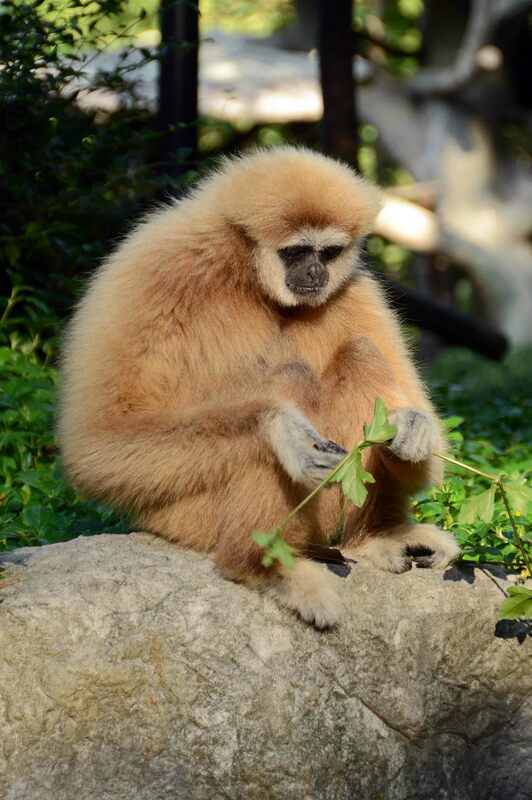 Gibbons look painfully sad to me! But I think they look like that in nature anyway, although I could not help thinking how much they would love to be swinging the forests, rather than being on their little islands, albeit with excellent climbing frames and clearly a lot of dedicated care by the zoo staff. 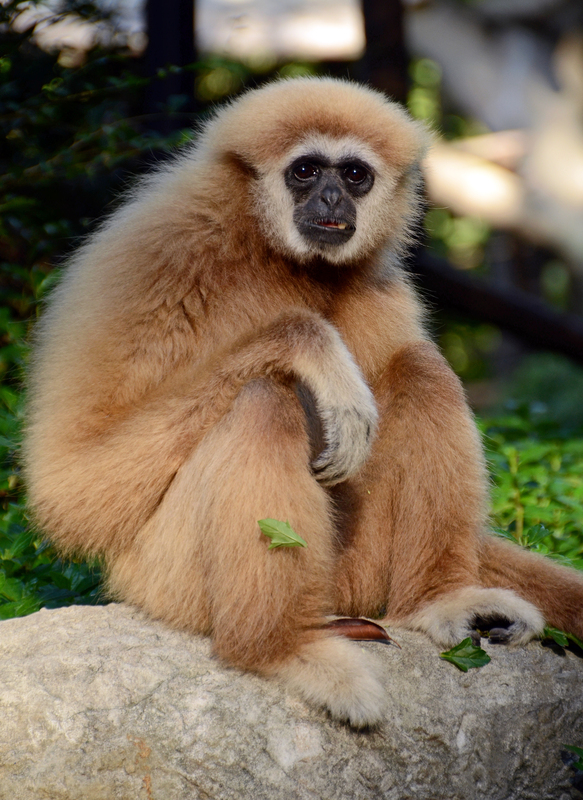 There are three species of gibbon on exhibit: lar (of white-handed), agile and white cheeked. 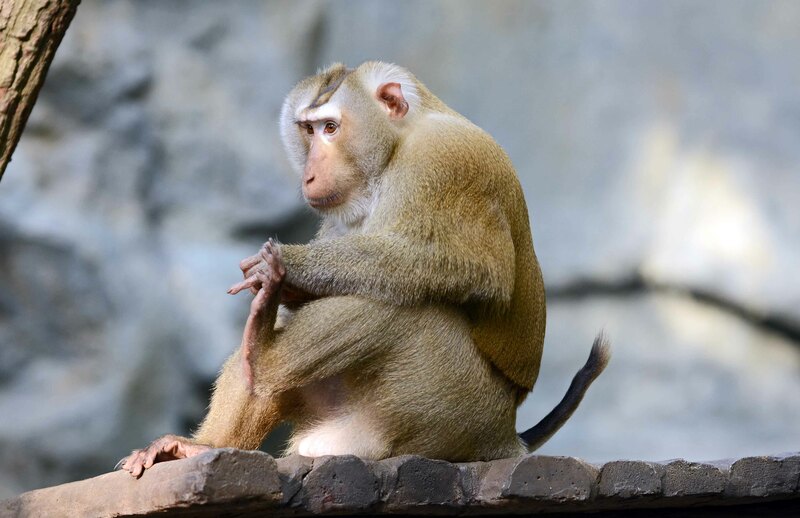 As well as the gibbons, there are some new monkey houses, where it is possible to get good unobstructed views of the animals, such as this Pig-tailed macaque . 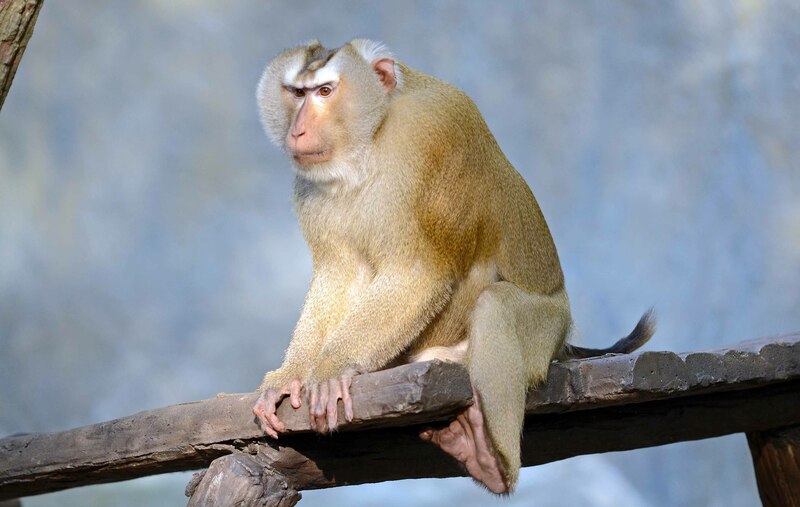 There are two closely related species in this genus; I assume that this is the northern pig-tailed macaque (Macaca leonina). 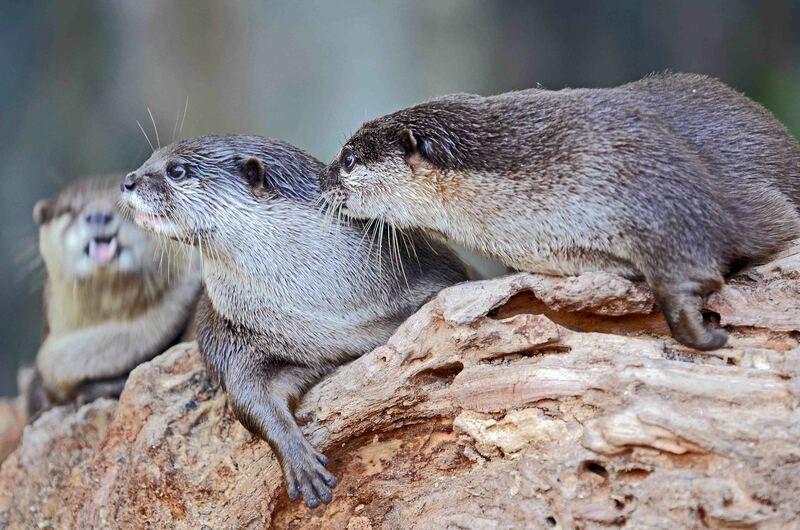 I was also rather taken with the otters, which seem to live a life of constant ‘rough and tumble’ play! Meerkats (Suricata suricatta) are always popular. Some of these ones looked like they were not getting enough exercise, but who am I to talk! Finally, near the exit (or entrance rather) there is an enclosure of Greater flamingos. I watched these being fed, or rather watched them fighting over the pellets that had been put into their pond. Unsurprisingly, the largest ones appeared to have first pickings and commandeered the best spot, although it looked as though they all managed to get enough food eventually! There did not seem to be a lot of parental care going on, with the chicks hovering on the outside of the feeding melee, but even they eventually managed to get a look in and gather up some of the food, after the others had lost interest and wandered off. The one species I don’t have pictures of, and for which the zoo is probably most famous for now in Thailand, are the Giant pandas. I remember the great hoopla which occurred when the Giant pandas (called Lin Hui and Chuang Chuang) first arrived at the zoo on 12 October 2003. Apparently, they are on loan from China, but I don’t know if or when they are going back. They bred and produced a daughter giant panda in 2009, so perhaps they will return after they have produced a big enough family to enable them to return to the old country! 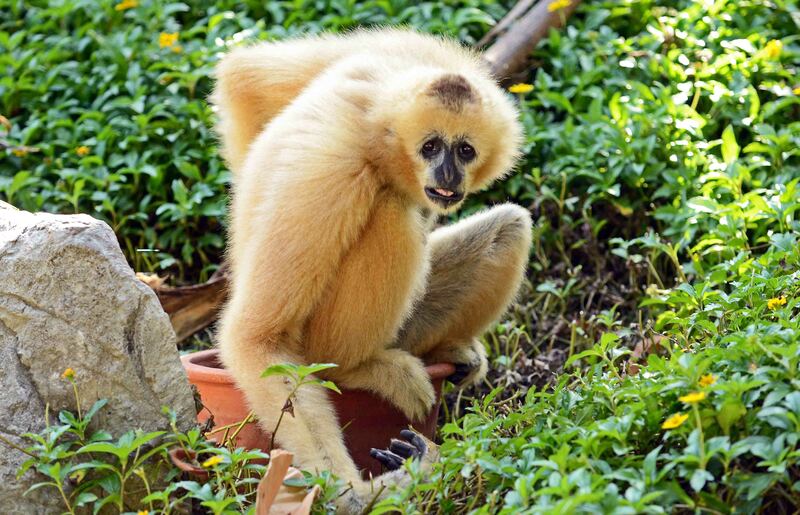 Next Next post: More gibbon photos!